This is the default state and indicates the project is active. 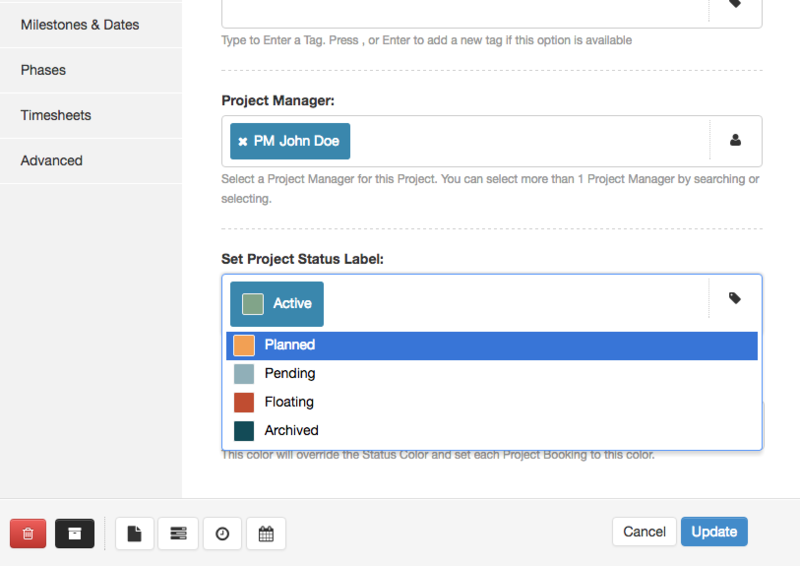 This state removes the projects from the scheduler and timesheets. You can still generate report data on them. Each of these statuses have their own project group allowing you to move projects between the groups dynamically by setting a different status on a project. If you want to make your own status, you are best using Project Custom Fields in conjunction with Smart Groups to achieve the same effect but with your own labels.